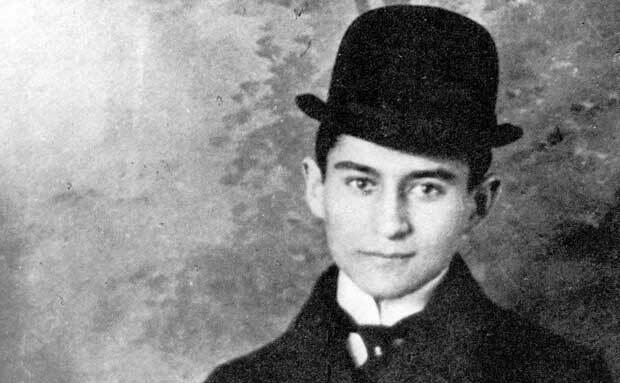 Kafka’s early education was from German Schools that refers to his father’s longing for social advancement as German was considered to be the language of the elites. This early schooling helped him mastering German and later he composed all his legendary work in this language. In the year 1907 after completion of his doctorate degree in law, he joined Assicurizioni Generali Insurance Company. Kafka never got comfortable with this employment and left with in a year. He later mentioned not being content with the work schedule as he had to work for 10 hours a day which gave him no time to concentrate on his writing. Just two weeks after his resignation Kafka joined Workers’ Accident Insurance Institute where he was required to work only for six hours which gave him ample time to focus on his writing. Kafka had been trying his pen since the age of 16 however his earliest existing story ‘Description of a Struggle’ is dated 1905. Max Bord, his university fellow and best friend of his life, is credited for convincing Kafka to issue his first publication. In 1913 Franz Kafka came out with his first collection of eighteen short stories published under the title ‘Meditation”. Kafka only had few short stories published during his life time. Most his compositions were published by his friend Max Brod after the death of author in 1924. Kafka gave the possession of his published and unpublished work to Brod at the time of his death with instruction to be burned unread. However Brod ignored this request and went on to publish his friend’s collected work between 1925 and 1933. He mentioned facing considerable difficulty in compiling Kafka’s notebook into sequential order. His lover Dora Diamant also secretly kept up to 20 of Kafka’s notebooks and 30 letters which were later secretly confiscated by Gestapo(Secret Police of Nazi Germany). Max Brod who also became the author of Franz Kafka’s biography is attributed to have completed much of Kafka’s unfinished work which includes three of his novels The Castle, The Trial and Amerika. Franz Kafka achieved increasing popularity especially after the publication of his English translation done by the Muris. He is now considered an institution in himself and a source of inspiration for upcoming lot of writers.